Authors that choose the Gold Combo-Publishing page receive a single-page website that can be used for promotion. The web page contains the book cover, contact information, book synopsis and links where the book can be purchased. 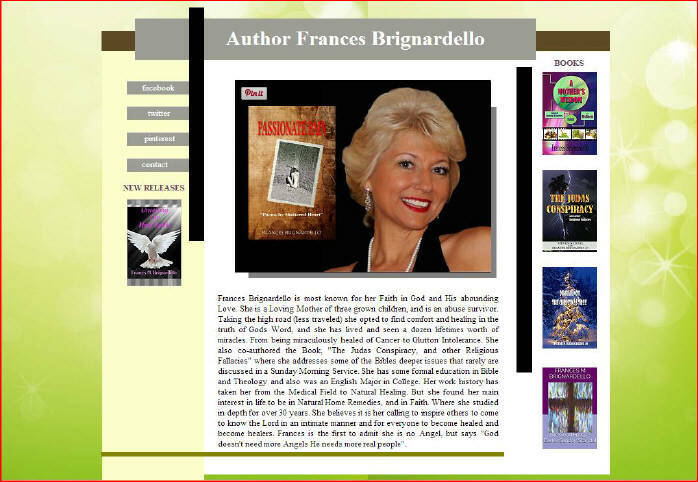 The web page also includes a short author bio and photo. Also included is a registered domain name of either the authors name of the book title. The web page can be upgraded to a 3-5 page website with a 10% discount – see services. Web Sites are included in the Platinum and Titanium Combo-Publishing Packages, and the Premium eBook Publishing Package.